Lucretia has said she will use the grant to attend The Learning Solutions Conference and Expo 2018, where she plans to learn to improve “the process of designing, developing and delivering instruction.” She explained that “attending this conference would allow me to learn, develop the skills, and identify my own ideas or strategies in response to challenging problems in learning and performance, in both my library and the library profession.” The event is sponsored by the eLearning Guild. 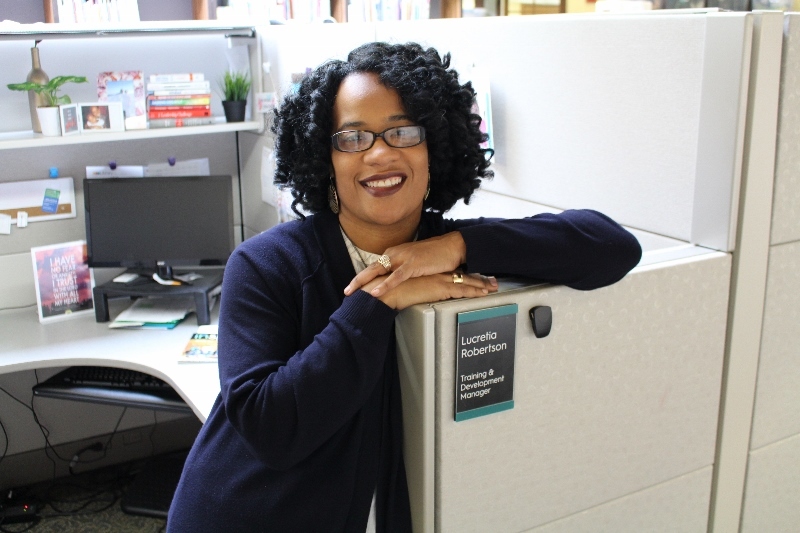 Lucretia is a member of several professional development groups, including Washington Area Library Trainers (WALT), The Association for Talent Development, and the Pierce County T.R.A.I.N. consortium. She is a certified professional in Human Resources. The grant review committee was especially impressed with her specific and detailed plan to share her knowledge with her library, with other trainers and through the Learning Round Table. The $1,000 grant will be made available for Lucretia’s use between July 1, 2017 – June 30, 2018. Further, an additional part of the award will be the appointment of a Learn Round Table member-mentor for the year. This grant, established in memory of Pat Carterette, past-president of LearnRT, is designed to honor Pat’s passion for professional development in the field of library and information sciences. Pat’s legacy is focused on providing outstanding educational opportunities for her colleagues to grow and develop within their career field. Funding for the grant comes from preconference events and sponsorship of the LearnRT Training Showcase. Applications for the 2018-2019 grant will open in the fall of 2017 and due March 1, 2018. The ALA Office for Human Resource Development and Recruitment (HRDR) serves as the liaison to the LearnRT.